“What does your name mean? Dog Ear Publishing is a US author solutions service located in Indianapolis, Indiana. Formed in 2004 by co-owners, Ray Robinson, Miles Nelson and Alan Harris, all three have had varied careers in the book world, from Waldenbooks, Pearson Education Publishers, as well as backgrounds in book packaging and the graphic design and print industries. This mix of both production and publication certainly provides the kind of firm foundation for an author solutions service many other companies do not possess. So, there is the Dog Ear Publishing pledge and pitch on behalf of their author solutions service. An admission that they may not suit every self-publishing author, particularly those who do not envisage high volume sales and are content perhaps to simply see their book in print for family and friends. It is a candid and fair admission—at $1099 (since 2010) on their cheapest deal—the desire for an author to hold a copy of their book could be found elsewhere for a hell of a lot cheaper if that is all that floats the author’s boat! Too many other companies try to be fair-weather for all seasons when trying to attract self-publishing authors. Ok, my first gripe—books. Not only does Dog Ear Publishing not support their own author bookstore page (still no bookstore as of 2012), but there is little or no representation of their authors’ books on the site. And no, I don’t consider the ‘Testimonial’ page an advertisement of their author’s books—that is commercial advocacy of their reputation and services, not actually selling books. All their links on books point to Amazon. The resource page is helpful for submitting book files, pricing and discounts, as well as the technical specifications required for book files. Self-publishing is all about the author. The author pays for the publication of his or her book, and they take all the risks involved. All the benefits of success and risks of failure are carried by the author. The author has control in making design decisions and marketing plans. If an author pays any money for the publication of his or her book, he or she is self publishing. If the author has control then the author should have ownership of the ISBN. It is nothing to do with who or how much money is paid. I don’t think Dog Ear do the company any favours here – as honest as the advice is meant. Self-publishing companies are called ‘book packagers’ in the traditional world of publishing. These self-publishing companies provide service to authors (or, as ‘book packagers’ provide services to publishers) that center around the production and publishing of books. 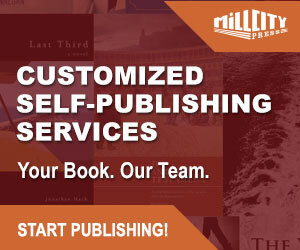 Most self-publishing companies provide a full suite of service for authors, from editing, to design and production, to distribution and marketing. Again, a degree of inaccuracy. Yes, some self-publishing companies may be nothing more than print and book packagers, but self-publishing companies do not all provide ‘full suite’ services as a norm. Most offer little marketing support beyond printed matter to support a marketing effort, and nothing in the way of distribution beyond online listing with Books in Print and some online retailers. However, Dog Ear Publishing are again a little more candid on their ‘Insiders-Why Self-Publish page. This is a strong basic package and even at $1099, it includes services like LCCN, Custom cover design and the option of hardback or paperback. Many other author solution services charge an extra $150 – $300 for the hardback availability, although, authors should note that it is one or the other here and not a combination. The ‘Book and author web page within our site’ bothers me. 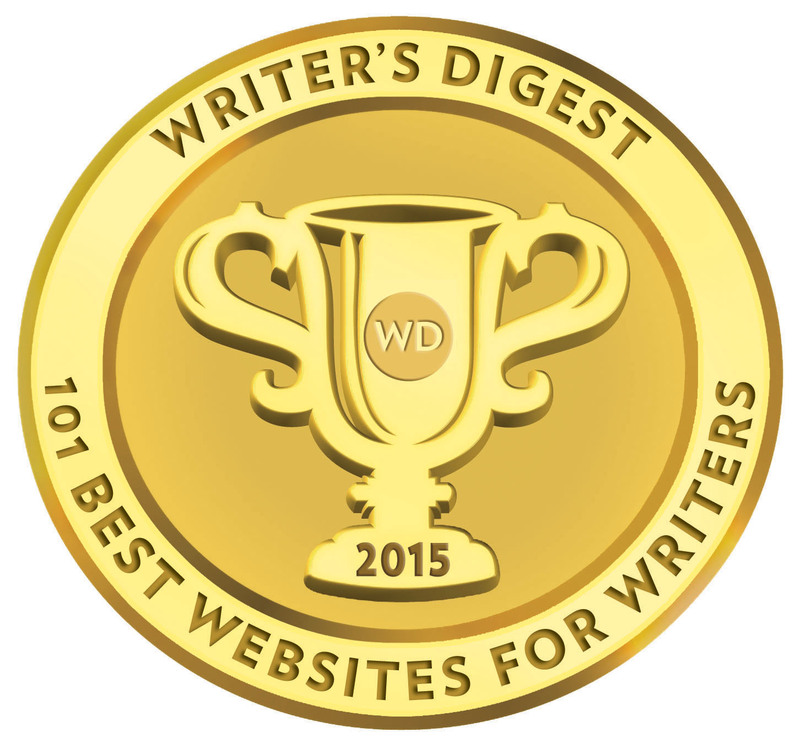 This means that the web page is hosted and listed on the Dog Ear Publishing website with access to buy links on Amazon, and this bears no comparison to a proper author website. Now we get the unique author website, together with the promotional materials and media press release (I would suggest the author have a hand in who gets some of these media press releases) by today’s standard in competition is a little excessive at $600 extra. Unless I am missing something here, the author is paying an extra $500 for inclusion in Google Books and a store shopping and payment facility. My own service provider offers this on my business website for an extra $5 a month, that’s $60 a year! This really isn’t worth it. Including up to 250 search terms and 5 ad categories to direct search engine visitors to your store front or site. Again, further promotional materials, a double up on the amount of media press releases, but the cost in the package for the added editing just isn’t enough to sway me. Editing is expensive from a proper professional and cost several thousand if done very well, but I would advise any author considering this package to first seek the name, credentials and samples of the editor’s work before committing to handing over a cent. Also, ask Dog Ear Publishing for a free two or three page sample edit of your book from the editor. An allowance of 53,000 is quite low, considering most novels stretch to 80-100K words. My own take on editing with author solution services is simply this—don’t buy it as part of a package service. Often you will find a better rate externally of the company, and either way, it is something authors should do before approaching an author solution services. Meaning, the author should always try traditional paths to publication or workshops before deciding on self-publishing. Give bookstores the greatest possible opportunity to stock your book by offering a returnability option. This program identifies your book as ‘Returnable’ in the Ingram Title Database. This means that a bookstore is able to return unsold copies of your book. A ‘Returnable’ indicator makes bookstores more willing to take a chance on your book. Our program is based upon a renewable 12-month cycle. Any returns are deducted from your outstanding Author Net Profit balance. Shipping and handling charges apply to books. If you have questions about your manuscript’s requirements, or which service is best for your book, please call us at 1-866-823-9613. Publishing and retail prices range from an average of $12 – $15 for paperbacks. 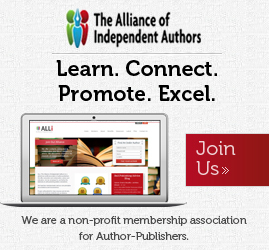 The below two links go into detail regarding royalties paid to an author. Retail Price minus Wholesale Discount minus Print Cost equals Net Sales Profit. $14.95 – 40% ($5.98) – $4.28 = $4.72 per unit Net Sales Profit – PAID TO YOUYour net sales profit is $4.72 per book. e-Books are only distributed via our e-retailer partners; Amazon.com (Kindle), Apple (iBookstore), Barnes&Noble (Nook), and Google (Google Editions). Dog Ear does not sell e-books direct to the end consumer. Exact profit on e-book sales can be complex, due to the many levels of Wholesale Discount applied and the various fees assessed by our partners. In general, however, the Net Sales Profit on an e-book sale is calculated much like that of a print book. Unlike print books, please note that we have NO control over the level ofWholesale Discount required for your book to be listed with a specific retail outlet. In most cases, each retailer has their own requirements. Retail Price minus Wholesale Discount equals Net Wholesale. Net Wholesale minus Digital Distribution Fee equals Net Sales Profit. $6.99 – 20% (the Digital Distribution Fee ($1.39)) = $5.60 – PAID TO YOUSo – your net sales profit is $5.60 per book. There is a benefit from purchasing Dog Ear publishing’s shopping cart option available in the Professional Plus package and Masterpiece. The author is making profit on all sales less Dog Ear Publishing’s print and mark-up margin. Distribution sales through online markets will have to factor in the loss of an additional 40%+ margin off the retail price, though authors do have control over the retail price. I do like Dog Ear Publishing. They approach the business of offering author solution services with a direct experience of book publishing, owners who reflect this experience and understanding, and a company who are accessible and frank about what they have to offer. You know this is a company you can pick up the phone and talk directly to the three people who are at the core of the business. I have a few small hang-ups about their lack of ‘book’ and author presence on their website and the fact that for the prices paid they could offer more author copies with their packages. But then, Dog Ear Publishing do not present themselves in anything but the position of a solid reputable author solutions service geared to offering reasonably strong packages and the inherent flexibility to deal with an author who wants very specific needs for the design and publication of their book. Dog Ear Publishing will also give the authors all materials relating to the design and production of a book in the event of the contract ceasing. Also, Dog Ear Blog by Miles Nelson here. They’re _not_ free if an author first has to pay $1,099 or more. They all use these ‘free books’ semantics in their packages when the author is actually paying. And now you mention it, Marcus, the 5 free books is pityful for $1000 packages. I was wondering if your opinion still holds true today in 2017 as in 2009. I appreciate all of your information and found it, and the posts below very helpful. Thanks for a thorough and balanced look at this self-publishing service. I really appreciate that you took the time to cut through the hype and present the facts. I will link to this as a resource for my clients. Attempting to hit the right balance in any of these author solution reviews is always uppermost in my mind. I am not in the business of showing companies who provide author solution services in a bad or unreasonable light if I can help it. I have tried to explain in a number of articles here on the site the process and criteria, if you like, of how I go about researching and assessing companies. I think the most important thing you have to remember is that different authors have their own set of ‘needs’ and ‘requirements’ for book projects, but equally there are some core issues which result in me deciding against reviewing certain author solution services. In fact, those ‘needs’ and ‘requirements’ are the first things any author considering self-publishing should think about. Until they do, they can’t hope to find the best ‘fit’ for them and their book project. Thanks again for your comment and support. I plan to make my own book website and Dog Ear says they will give me an “Open for Business” link for my site that goes directly to the internal Dog Ear page for purchasing the book. Plus they will do fulfillment of the order for a small fee and ship to purchaser. I’m puzzled. Arn’t these services already provided for in their basic package, or do you mean you are taking the fulfilment and web purchase page as stand alone service? I used Dog Ear Publishing’s services for my first book, Game Strategies and Tactics for Basketball. Very happy customer. For what I paid I got good editing, a great cover and an interior that looks very nice. Had I not discovered CreateSpace and the fact I could have the same services freelanced for less and my price per copy was less with CreateSpace, I would still be using Dog Ear Publishing. I’ll even let you in on a fact most “author solutions” companies would shudder at, my Dog Ear rep talked me out of using some of their services to save money and told me over the phone how to do the tasks myself. You seldom hear such a statement about an author solutions company. I have a positive relationship with Dog Ear and would recommend anyone searching for an author solutions company to at least call Dog Ear and talk to them. This information was extremely helpful. I am using Dog Ear with the clear understanding that any aggressive marketing and pres/post publicity for my book will have to come from me as the author. However as someone who has limited free time and lacks the expertise to format edit and design a cover I like Dog Ear. They were up front and honest and very helpful every step of the way not to mention patient answering all my questions….no matter how many times I asked. Dog Ear has exceeded my expectations and I would recommend them without reservation or hesitation. The final product was a professional book I could be proud of and not something that looked like I constructed it in my basement. To me that alone was worth the price. Side note it was 100 free copies not 5. I appreciate this write up and the comment from Kevin Sivils. I have just completed my first book and I am onto #’s 2 and 3. I have been looking at DogEar and liked what I saw. I hope to be into production by April. Still considering who to use and this was helpful. Dog Ear is a company I intend having another look at soon. I haven’t checked in with Miles at Dog Ear in a while and will do so and update this review. I am considering Dog Ear for, what will be my first book. They seemed very direct… nothing hidden. Now I haven’t read the contract/terms and conditions… will see once that comes. I can’t say enough great things about Dog Ear Publishing. After extensively reviewing of a lot of the self publishing companies (including reading the BBB complaints of all the companies), we decided to use Dog Ear for my 15 year old son’s debut novel, The Legend of V, Book 1: The Solar System’s Prophecies. The book came out looking even better than we could have imagined! The recommended matte finish is stunning. Throughout the process, we worked with Ray, Megan, Amber and Matt. All were very helpful and quick to reply to our calls and emails. The personal attention we received from Amber who patiently and professionally replied to our queries was exceptional. Extra marketing informational emails from Matt were definitely helpful. We took some of his advice and it’s made a big difference. Working with Dog Ear has felt like we are part of a team and that they genuinely want us to succeed. We will use them again for my son’s next book. Which package did you and your son choose? Thank you. when I looked up your sons book it says it was published by Create space, any reason for the change? Good article – many thanks. I used a company called Dizzy Emy Publishing (DizzyEmuPublishing.com) who were by far the cheapest publishers I found after much searching online. I’m delighted with the service and with the end product of my novel, which they made available in print via Amazon and Barnes and Noble, and as an e-book on Kindle, iTunes, etc. Calling into Dog Ear to see where I may be able to take my series. I am starting a six part series dubbed Saving Merigway. I looked into Xlibris and only got negative reviews, and scholastic is refusing any unpublished authors (pity). I can only hope that Dog Ear will be successful in helping me figure out how to take my Marketing job to the next level! If you get your hands on a copy and wish to leave me any kind of review, you can email me at Aamartin117@yahoo.com. Thanks for reading!!! Stay current on the latest publishing news!